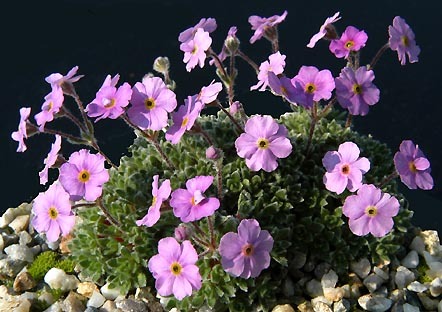 Androsace x marpensis – (A. globifera x A. robusta ssp. purpurea). This natural hybrid was collected 1988 in the mountains of Central Nepal. A plant of exceptional beauty for the stone trough.